Demise of the independent doctor: hype or reality? 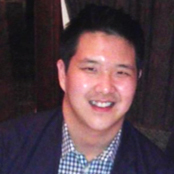 Richard Fu is a consultant in Accenture’s Health Strategy practice, based in New York. His client experience is primarily focused in strategic planning and growth initiatives for new market entrants in the health care vertical, and he has worked with companies in the provider, payer, care management, pharmaceutical, and device/technology spaces. Prior to Accenture, Fu was an Associate at Citi, managing mid-corporate banking relationships. He earned a B.A. in Economics and East Asian Studies from New York University, where he currently serves as the Undergraduate Recruiting Lead for Accenture’s analyst program.